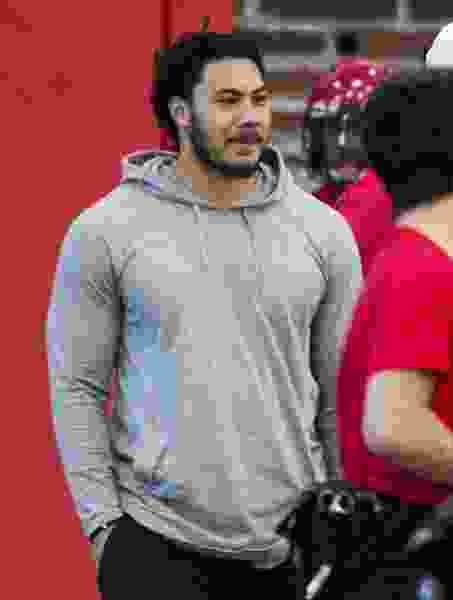 Former BYU linebacker Francis Bernard came to Utah’s football facility during the team’s practice Friday, but he has not joined the Ute program yet. Coach Kyle Whittingham said he's not able to talk about Bernard as a potential transfer until he officially completes academic requirements and signs with the Utes. Bernard would join a deep Ute linebacking corps that features only two starters in the standard defensive alignment, Chase Hansen and Cody Barton. Devin Lloyd and Donovan Thompson are considered solid backups and junior college transfer Bryant Pirtle has made a good impression since arriving last weekend and practicing in pads for the first time Tuesday. The Utes have held nine practices; Saturday’s scrimmage will be the 10th session in a camp that is scheduled to end Aug. 18. The school’s fall semester begins Aug. 20, when the football team will move into its weekly routine in advance of the Aug. 30 opener vs. Weber State at Rice-Eccles Stadium.